However, in serendipitous fashion, just as I completed a large batch of orders, I was sent a packet of rather intriguing, Earl Grey Marshmallows by my lovely friend and leader of the Secret Tea Society, Claire Worral. The amusingly named, EAT TOAST DUNK ME natural, gourmet marshmallows are made by Copper and Cane Ltd and are a cut far above your average mallow, using organic ingredients and stocked in both artisan and prestigious establishments, including Selfridges. The Secret Tea Society was testing their tea-dunking capabilities (apparently) and thought I might like to experiment with them in my capacity as the Society's official cocktail expert (or 'in house drunk'), particularly as I absolutely love Earl Grey tea and these superior mallows are made with best organically produced bergamot. My first thought was to dissolve the mallows in alcohol which would imbue it with the delicious flavour of bergamot and sweeten it too. The only hitch is that this is rather time consuming and they will take a day or two to fully dissolve, so my advice would be to make up a small batch of it as it will store well; adding one marshmallow for every 2oz of alcohol, to a clean glass receptacle with a lid and giving it a bit of a swirl, twice a day. I, on the other hand, just popped a marshmallow in a cocktail glass with 2 oz of Hendricks Gin and stared at it, plaintively, willing it to dissolve. Finally, after 48 hours and some very stern looks, the ebullient marshmallow finally succumbed to the gin and I was left with a lightly sweetened and delicately fragranced spirit that combined the flavours of rose and bergamot without one overpowering the other. As a bonus, the natural food colouring in the marshmallow left a faint pink tinge to the drink that was rather pretty and should you decide to make a decent amount of the stuff, I highly recommend making a Gin and Tonic with it, using a superior tonic, such as Fever Tree Naturally Light Tonic Water and adding a strawberry, halved and hulled and a wedge of fresh lime. If you are feeling a little more adventurous, then this next cocktail will not disappoint. 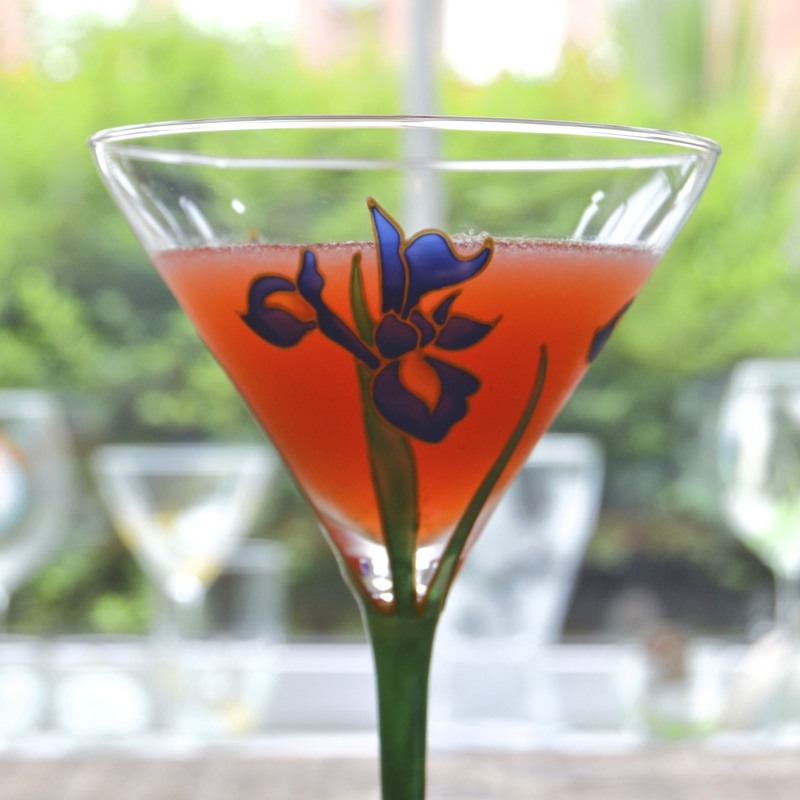 It combines the fragrant flavours of rose and bergamot with strawberry, lime and a little triple sec for a zesty and fresh cocktail, served in the Martini style. I have named it The Secret Martini in honour of the Secret Tea Society and it's unseen but essential addition of the EAT TOAST DUNK ME marshmallow. Add all of the ingredients to a shaker and muddle the strawberry until it has partially broken down. Pop in a handful of ice and shake hard until the outside of the shaker frosts over. 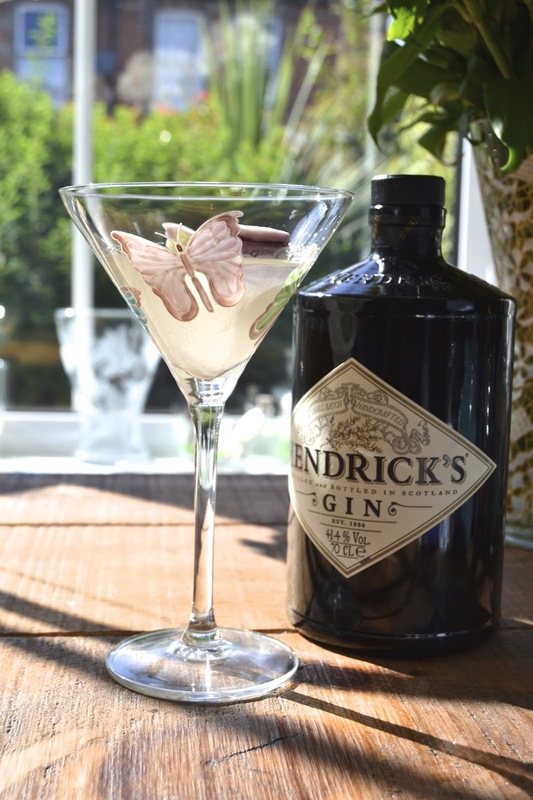 Having established that the bergamot in the marshmallows paired well with the Rose infused flavour of Hendricks, I thought it would be equally harmonious when added to Pinkster Gin, adding another dimension to their lightly raspberry infused gin with lavender notes. This time however, I decided to short cut the dissolving process by making an iced tea cocktail and popping the mallow into the tea whilst it was still hot and then allowing it cool - genius! The tea in question was no ordinary blend, but the Kent and Sussex Tea Co. 'Rose Congou', a superior loose leaf black tea mixed with beautiful, scented rose petals and another gift from the Secret Tea Society as part of my annual membership pack. It really is a lovely tea that makes a wonderfully fragrant infusion without any hint of bitterness. To make this next cocktail, you will need a high quality, loose leaf, rose infused tea - Rose Congou is ideal. Allow the tea to infuse for between 3-5 minutes and then pour 100ml into a clean receptacle. Pop in 2 Earl Grey marshmallows and stir until dissolved. Add everything to the bottom of a shaker with ice and stir to chill. Strain into an ice filled glass and add a wheel of freshly cut lemon. This final cocktail requires a little more patience again, whilst you wait for the marshmallows to break down, but the surprisingly delicious combination of bergamot, tequila, ginger and lime is well worth the wait. 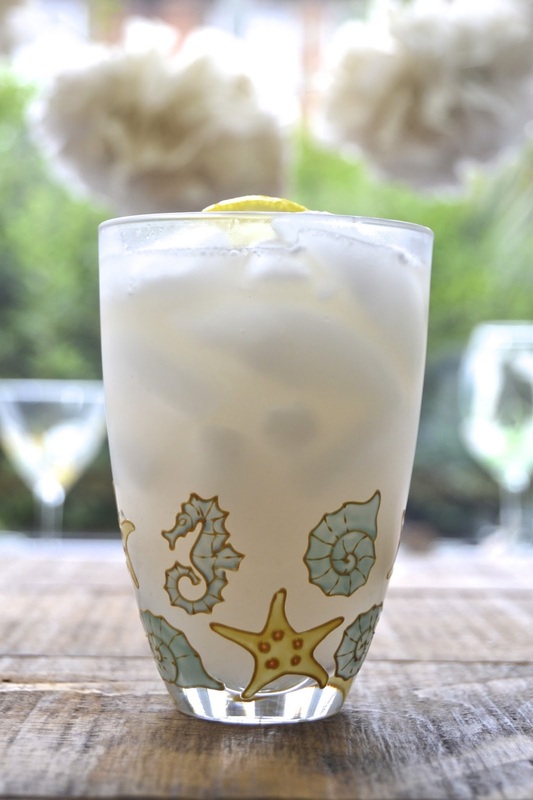 Pour the mallow infused tequila and lime juice into an ice filled hi ball or large tumbler. 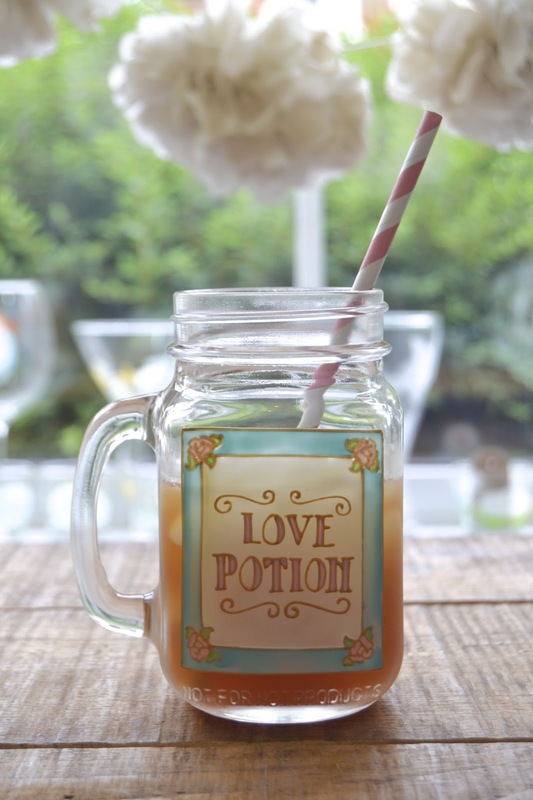 Top up with ginger beer and stir with a swizzle stick. What amazing tea related cocktails!